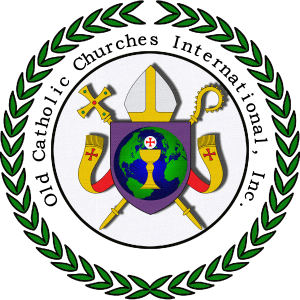 The Old Catholic Institute is an ecumenical, distance-learning school preparing individuals for ordination and continuing Christian Education. We welcome all progressive Christian churches to take advantage of our training program. We offer practical training for clergy that will serve them well in the real world. The Church and Institute makes no claim of academic accreditation of any kind, nor is it implied. The Church provides an online distance learning study program, and practical training is delivered at a parish level to meet the needs of churches. The Institute endeavors to provide an equivalent to Seminary Degree’s in the following areas of study: Theology, Christology, Dominican Studies, Franciscan Studies, Philosophy of Religion, Art History (focus on Byzantine and Medieval Studies), Iconography (Painting), Liturgical Practices through the conferring of “Certificates of Competency”. We offer this as a gift to the Church by preparing qualified Men and Women to serve her to the Glory of Christ. Studies are offered as Oxford-style tutorials on a trimester basis. All studies are competencies-based. An assessment of prior learning begins the process. Visit our website at https://oldcatholicinstitute.org. Visit the OCI LMS site. After knowing the will of God in regard to a work which we undertake, we should continue courageously, however difficult it may be. We should follow it to the end with as much constancy as the obstacles we encounter are great.